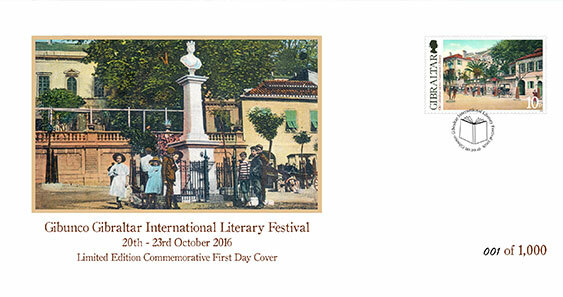 A limited edition First Day Cover has been issued to commemorate the 2016 Gibraltar Literary Festival. The First Day Covers are limited to ONLY 1,000 copies and are individually numbered. History, literature, popular culture, politics, religion and the world of ideas all feature heavily in the programme. The eclectic nature of the festival is underlined by the multitude of events which include the appreciation of gastronomy, art appreciation, jazz music and poetry. The festival now in its fourth year takes place October 20-23 and is now honoured to have received royal patronage from HRH the Princess Royal.